Divya and Saran flew into New York City from Singapore for the sole purpose of having their engagement photos taken here. Neither one had ever been here before and asked me to help them pick great locations. I thought of Grand Central Station right away. 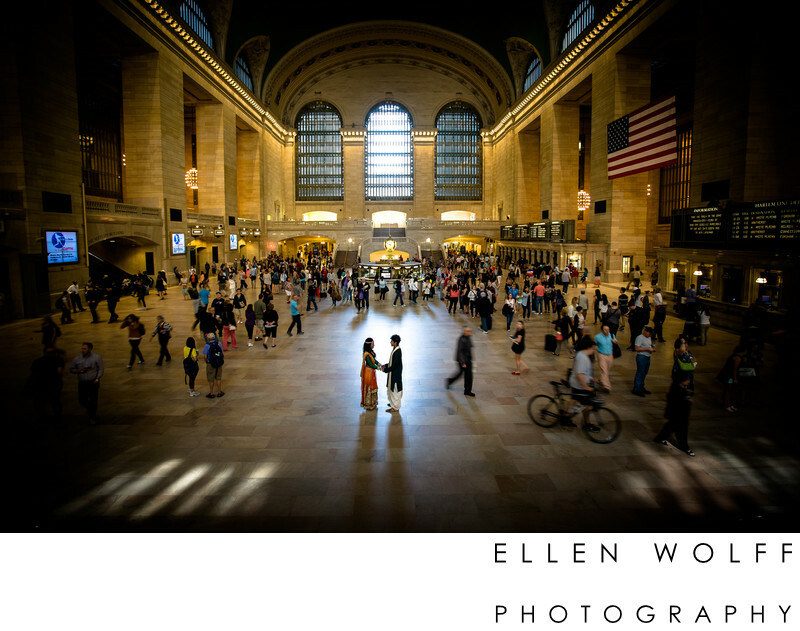 I love how the shaft of light around them forms a gentle heart shape.Keywords: nyc engagement photos (3).